No details were made available on when the news conference, to announce a draft Memorandum of Understanding between the city and the Los Angeles-based Oak View Group, will be held. Murray was scheduled to lead the news conference alongside OVG co-founder Tim Leiweke. 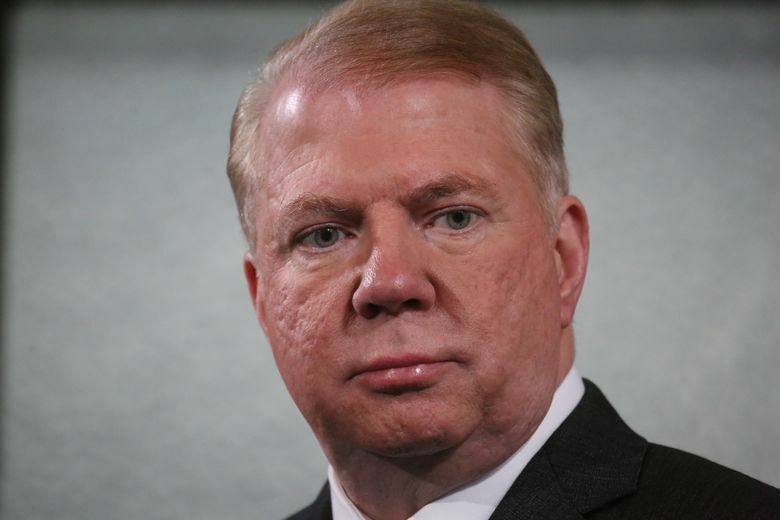 A planned news conference Tuesday to announce a formal agreement to renovate KeyArena was abruptly canceled after new sexual-abuse accusations surfaced against Seattle Mayor Ed Murray. No details were made available on when the news conference, to announce a draft Memorandum of Understanding between the city and Los Angeles-based Oak View Group, will be held. The Seattle Times on Tuesday reported that Murray’s cousin, Joseph Dyer, 54, had come forward alleging he was sexually abused by him at age 13 in the 1970s. Murray denied the allegations. Murray was to lead the KeyArena news conference alongside OVG co-founder Tim Leiweke. City spokesperson Joe Mirabella said the MOU was officially transferred to the city council Tuesday and is now under its control. “Today is an important day — another step forward — for bringing the City of Seattle a world-class arena at Seattle Center. “I want to thank our partners at the City of Seattle for their tireless efforts over the course of the summer to help turn this once-in-a-lifetime opportunity to advance the New Arena at Seattle Center into an actionable development plan. “The completion of the MOU provides a level of certainty that Seattle has never had before, and OVG, the City Council, elected officials and the residents of Seattle, must now turn our attention to the NHL and NBA and make it undeniably clear that we are more than ready for them to come to Seattle. “The transmission of the MOU to the City reflects community engagement. Throughout the process, OVG and the City have prioritized community and will continue to do so. “The people of Seattle are protected. This is a privately financed project and it’s been the most open and transparent arena process I have ever participated in. From the public RFP, to the City Council liaisons and over 15 City representatives in every negotiation, to 3 different outside consultants overseeing the process. Simply put, the deal with the City guarantees their existing revenues and provides an upside to Seattle as well. “We understand the concerns with traffic and mobility in the neighborhood and we’re investing an estimated $70 million in impact studies, solutions and direct mitigation. “And Seattle has shown that openness and transparency can expedite a process. “The rebirth of the new arena at Seattle Center will reflect Seattle’s increasing presence on the global stage. Great projects require a broad and inclusive process and this has been that — every step of the way. 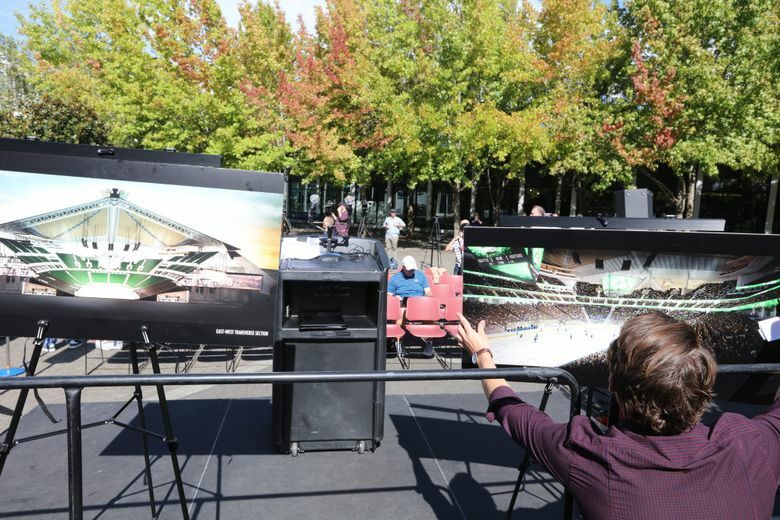 ·Seattle is now in the best position possible to bring back the NHL and NBA, while also creating a world-class live music venue worthy of its historic and iconic location. “We are dedicated and committed to the benefits of the community, the workers, and the environment. And through our extensive and positive dialogue with the neighborhoods we feel engaged and connected — we feel a part of the neighborhood fabric. “Seattle Center and the adjacent neighborhoods will be the heartbeat of the city for decades to come.